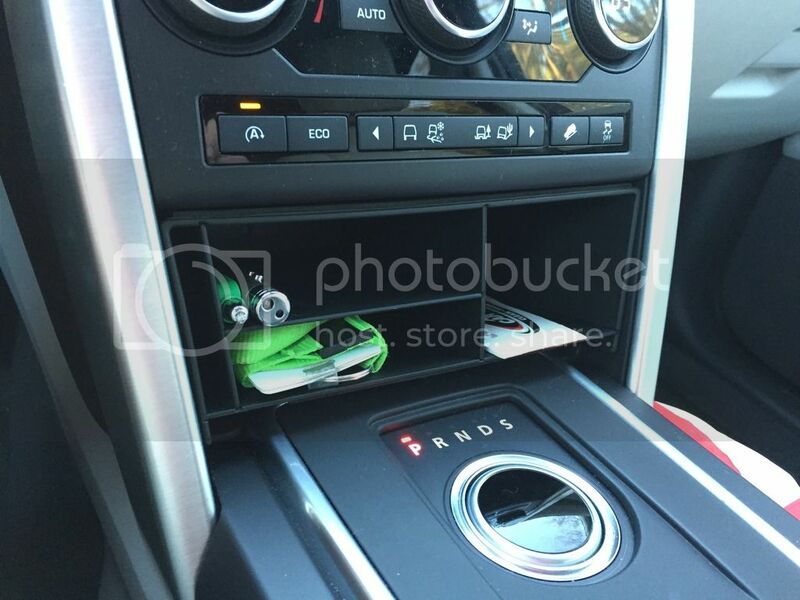 Land Rover Discovery Sport Forum > 2015+ Land Rover Discovery Sport Tech Section > Interior > Organized that cubby behind the gear knob! Organized that cubby behind the gear knob! I have been looking at this organizer on Amazon ($36) but found it on eBay for $24 w/ free shipping! (seller: cheya20171371 ) Took a couple weeks to come in. Looks and fits great! Looks and feels very sturdy and well-made. Has some thin foam sheeting to keep it snug. This was a good purchase. I just wanted to share it. There are several sellers of this on eBay. 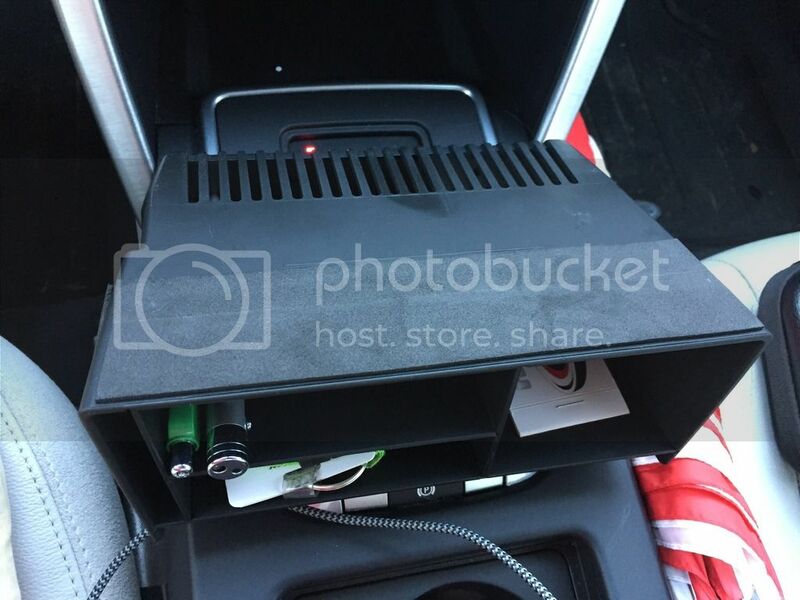 search "Center Console Discovery Sport". I found this organizer and want it. 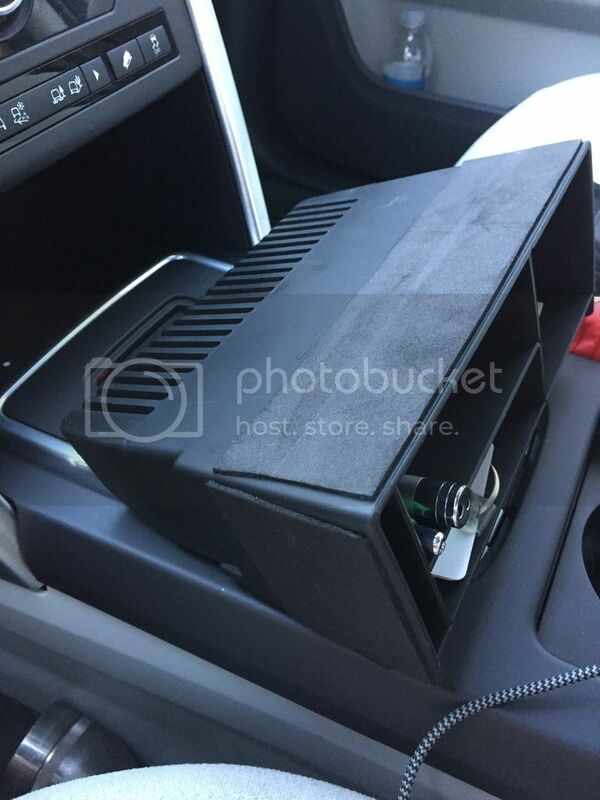 All the ones I have found do not appear to have the slits cutout on the top back like the one pictured above and I am afraid it will make the radio overheat or adversly impact the car's ventilation as the roof of this area has slits in it. Any insights? How about posting a link to this. After you drive a few miles, feel the storage area where the slits would sit to see if there is excess heat. If not, you should be good to go! I was surprised to see mine had vents but I'm not 100% sure they're necessary. The eBay seller of the organizer I originally bought still has some in stock (seller: cheya20171371). The photos on eBay don’t outright show the slits but they may be there after all. I can't seem to find this anymore. Too bad. Looks like a good idea. Thanks for the tip! I bought this from ebay and it came pretty quickly! I love that I can have my garage card access card easy to access in the small slit.